With Samsung and HTC on the verge of launching their respective “Google” variants of the Galaxy S4 and HTC One (both flagship devices) respectively, it seemed a bit unfitting for Sony to be left out of the lime light wasn’t it ? Well that does not seem to be the case anymore. According to some fresh rumors that have surfaced today are hinting towards a possible launch of a special Google Edition of Sony’s flagship device of the year, the Sony Xperia Z running on Stock Android or Vanilla Android as its most commonly known as. 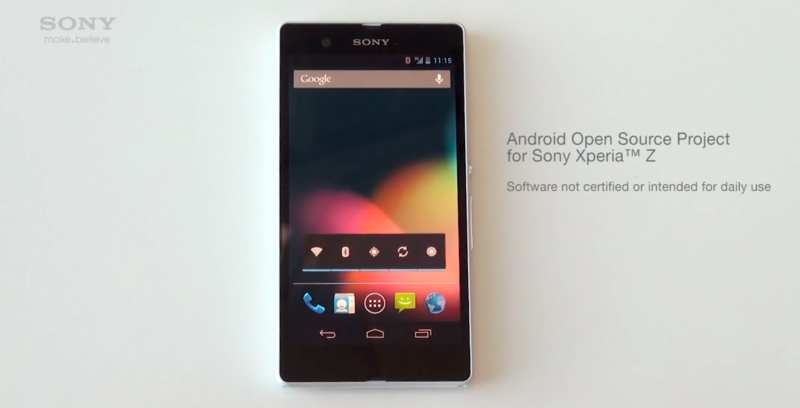 The Xperia Z Google Edition is stated to arrive sometime in July this year and just like all its previous (Google Edition) predecessors, it would be made available directly from the Google Play Store. The Android 4.2.2 device would receive all future software updates directly from Google on first priority basis as compared to its other Carrier or International versions. As far as the hardware is concerned, we are expecting the Xperia Z Google Edition to be fully juiced up similar to its twin having the customized Xperia UI. These are still just strong rumors and no official word has been confirmed by neither Google nor Sony as yet. We’ll keep you guys posted once the companies decide to officially enter their newest member in the pure Vanilla (Stock) Android category smartphones. Stick around !